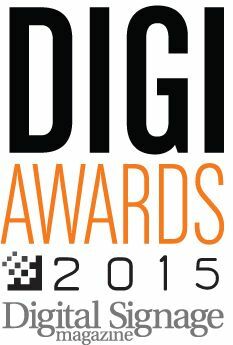 As the Chair of the Judges Panel for the program, I am pleased to announce that Digital Signage Magazine is now accepting entries for the 2015 DIGI Awards. Deadline to enter is October 31st, 2014. This year the DIGI Awards will be open to all digital signage installations completed in 20014, regardless of the application or the number of screens installed. Any reseller, integrator and service provider who has been the primary client contact for a digital signage application installed in 2014 is eligible to submit that installation for an award. In the categories of New Products, the product must have been launched in 2014.